President Donald Trump’s son, Donald Trump, Jr., is calling on CNN president Jeff Zucker to appear before the American public and the media to personally account for and explain exactly what happened in what is now the network’s biggest scandal in its history. The statement from President Trump’s son, who now with his brother Eric Trump runs the president’s business empire, comes on the heels of CNN announcing that three senior editorial officials have resigned over what is now the biggest scandal in the network’s history. CNN’s story was up for a nearly a full day after being published late Thursday night. After Breitbart News’ initial investigation was published mid-Friday, late Friday evening CNN deleted the piece off the internet and later issued an editor’s note formally retracting it and apologizing to Scaramucci. The network has yet to apologize to others maligned in the story, including President Trump or Stephen Schwarzman among others. 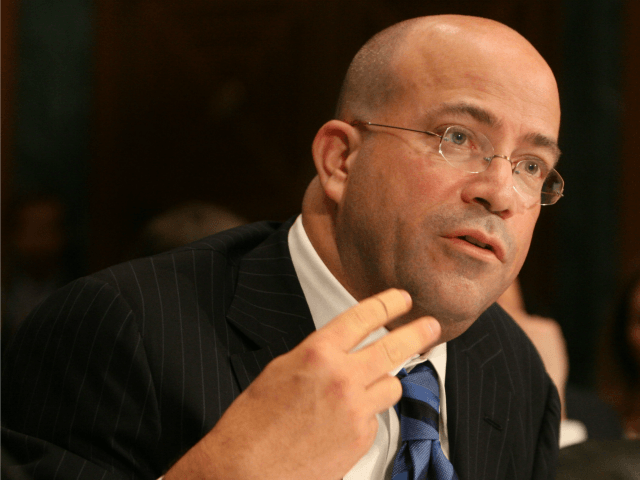 What has followed that is perhaps one of the darkest cover-ups in media history, as it was reported in the wake of the grave error and subsequent shoddily-handled retraction, Zucker himself is overseeing—alongside the head of CNN human resources—the internal investigation into the matter. CNN public relations refused for three days to comment publicly on the matter, even to CNN media reporter and Reliable Sources anchor Brian Stelter. In addition, leaked internal CNN memos show that the network has shifted policy with regard to all “Russia-related content”—forcing reporters, editors, anchors, and producers to get sign-off from senior executives on everything include social media postings. CNN has still provided no explanation on the record to anyone other than anonymous quotes from a spokesperson in Stelter’s latest piece announcing the resignation of three officials involved in the matter, including the reporter on the byline and two editors. Corporate spokeswoman Emily Kuhn has refused repeatedly for days to answer basic, specific questions about the scandal. She is continuing to refuse to answer questions and she will not provide Zucker for an interview despite repeated requests from Breitbart News for one with him. Kuhn has similarly not responded when informed Breitbart News was publishing a comment from the son of the president of the United States, Donald Trump, Jr., calling on Zucker to appear in an on-camera briefing before the American public and the media to account for this very fake news scandal. The three officials who have resigned so far including the original retracted story’s reporter Thomas Frank, a CNN investigative unit editor Eric Lichtblau, and the unit’s executive editor Lex Haris. Sources inside the network tell Breitbart News there are many more CNN officials still employed by the network at this moment who were responsible for misjudgment on this matter, and there are many unanswered questions that President Trump’s son clearly believes Zucker must account for in an on camera briefing.